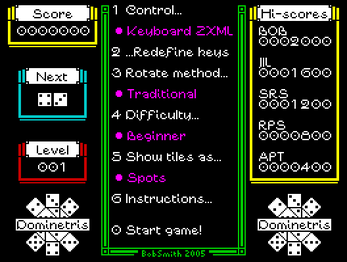 Written in 2005 to see if I could get back into writing Z80-assembler Spectrum games (after a lot of hassling by a friend!) this is a novel take on the Tetris theme where, rather than completing lines of block, you have to match digits on dominoes - 2 twos, 3 threes, 4 fours and so on - to make them disappear. 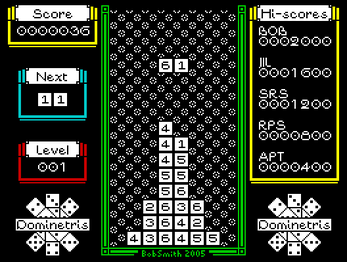 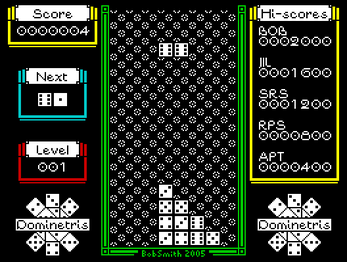 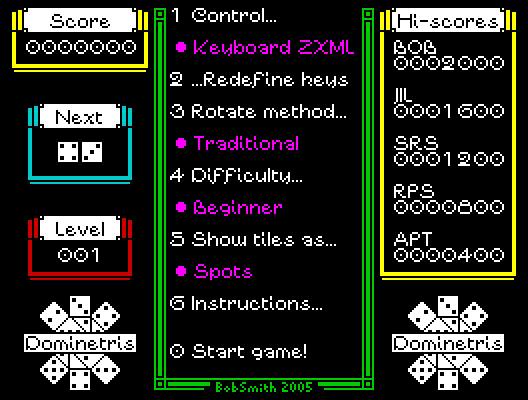 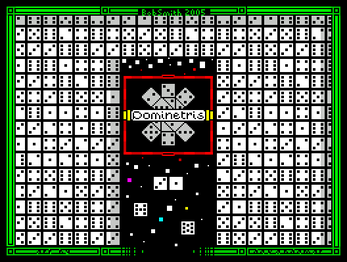 Unlike Stranded, which was written on an actual Spectrum, Dominetris was the first game written on a PC using freeware programs such as Crimson Editor, Pasmo, and Spin before finally being tested on my original 48K Spectrum (from 1983) and a recently purchased grey +2 machine. 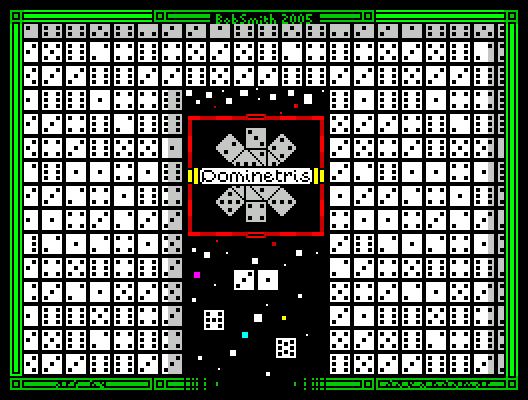 artist, de Vandemar Croup, produced a loading screen for it, and it is that screen which is now included with the game.